If you're like me, you're trying hard to hold onto your Fall decor while everyone else is spewing Christmas carols at you. But I want to enjoy Thanksgiving too! So while everyone else is starting on gift guides, etc. I want to make a conscious effort to share a couple of Thanksgiving, or Friends-Giving meal inspiration posts. 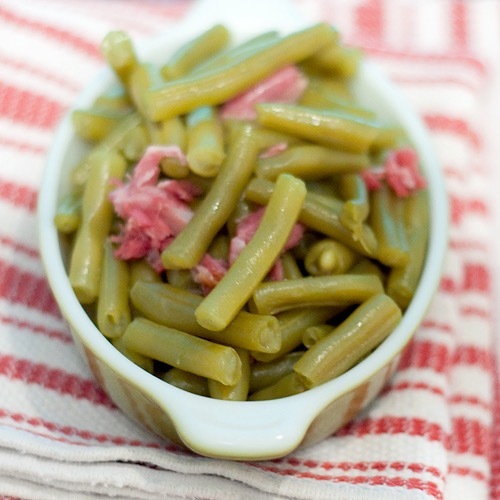 These Old Fashioned Southern Green Beans would be a perfect addition to any Thanksgiving table. The recipe is simple and easy to follow, and although I haven't tried out this particular one, it's very similar to the way that I cook my green beans. There are a couple of things that I love about this Oven Roasted Cauliflower recipe: It doesn't have too many ingredients and it doesn't take too long-perfect for meals when you're short on time and short on cash. I'm still a little skeptical about cauliflower, but this recipe sounds so flavorful that I'm going to have to try it out soon! Anything cooked in a slow cooker is high on my list for side dishes, it helps take some stress off of you & frees up space on your stove-top and in the oven. We had corn suffle at our wedding reception and I think it was my favorite food there. 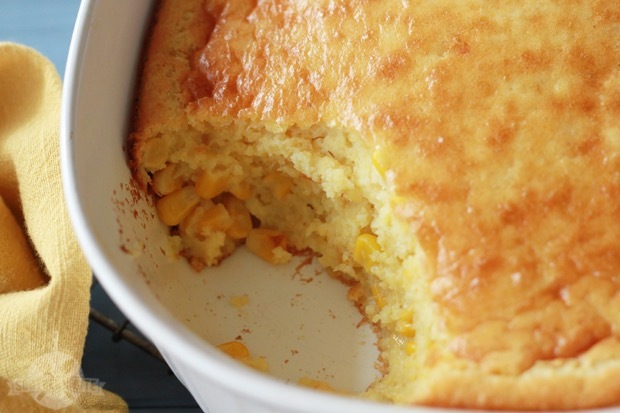 This corn spoon bread is very similar and seems very simple to replicate. 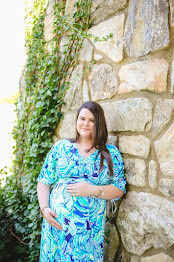 I think it's the perfect warm and cozy dish to bring to a Thanksgiving table! I hope y'all enjoyed this little round-up. . .
What sides are a must for your Thanksgiving table? Which of these above sound the best to you? I'm actually not a big fan of most traditional Thanksgiving foods, but I do enjoy a good dessert. ;-) I think that someday when I cook my own Thanksgivings I want to try out cooking different ethnic cuisines every year!! Haha. I'm right there with you though on celebrating this month before jumping into Christmas! I do have my Christmas decorations up, but no Christmas music until after Thanksgiving!! It's definitely important not to skip over Thanksgiving and I don't get why people do it. These all sound amazing especially the green beans! I can totally see myself making these for more than just Thanksgiving! Those green beans looks fab! Now I'm hungry! I'm so excited for mashed potatoes and mac and cheese! Whelp. I officially have no idea which looks best. So D - All of the above, please!!! I just ate, but man this makes me hungry haha. Those green beans look absolutely delicious! I'm having Thanksgiving with my boyfriend's family this year, so I'm not exactly sure what to expect. This all looks so yummy!!! Oh, I love your suggested sides esp that corn souffle and green beans!! But my family is trying to enjoy that last Fall Holiday which is Thanksgiving and we love mac & cheese, green bean casserole, stuffing, mash potatotoes and candied yams and of course the Turkey! I actually am one that listens to Christmas music in October, I like to make the holiday last as long as possible! I still celebrate the other holidays, too, just Christmas at the same time!! Thanksgiving is my favorite! My husband and I have to go to Thanksgiving at both of our houses, which makes for a stuffed, but delicious day! These are great suggestions, I have to bring a dish to Thanksgiving and I was having a difficult time deciding what to bring. I think the corn spoon bread looks delectable! They all look great, especially the corn souffle! 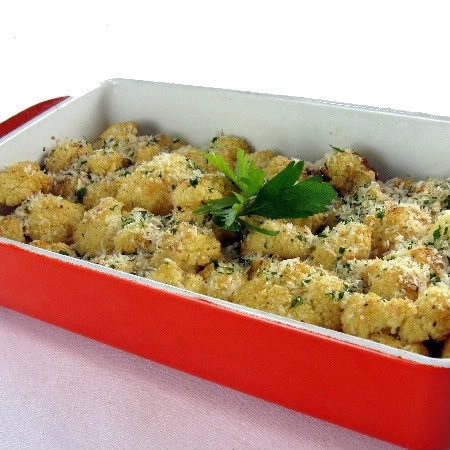 The oven-roasted cauliflower looks delicious! I'm having Friendsgiving this weekend, and I'm so excited! We had one last year, and I'd really like to make it a tradition. Those potatoes look delish! 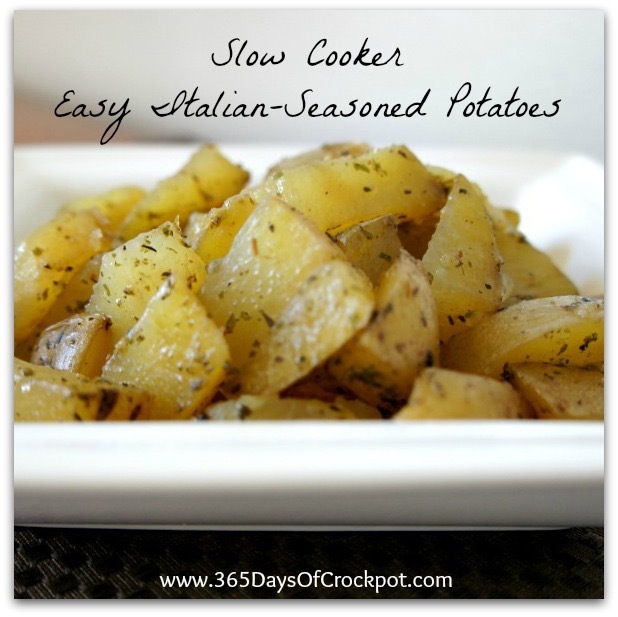 OMG I want those slow cooker Italian-seasoned potatoes now! Great list of Thanksgiving sides. I also agree that I love my fall decorations too much to ditch them in November for Christmas stuff. I'm definitely going to make the cauliflower. Big mistake reading this at lunch time! It all looks so good! Those Italian-seasoned potatoes sound amazing - I am definitely going to try to make those soon! I'm always in charge of making the potato dish! I want to try out the italian seasoned potatoes! These all look super yummy! My boyfriend, Shawn and I are hosting our first Thanksgiving so I will definitely be referencing this when creating our menu!